Harmonium was one of the most influential rock bands from Quebec. Lead vocalist and guitarist Serge Fiori met Michel Normandeau (vocals and guitar) in a theatre music meeting. Later on in 1973 they met bassist Louis Valois and became Harmonium. 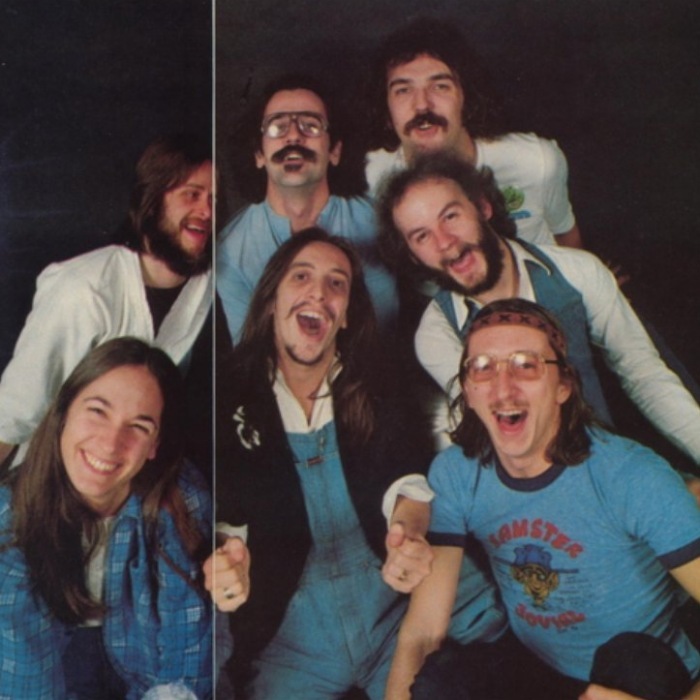 In November of 1973 the group performed their first air play on CHOM-FM. They played three tracks: "Pour un instant", "Un musicien parmi tant d'autres", and "Un refrain parmi tant d'autres". The first two songs were demos at the time and were later recorded professionally to be put on their first album, Harmonium. The last song was a sequel to "Un musicien parmi tant d'autres", but never made the album cut, staying as a b-side. Apart from the album, one single was recorded at the time: "Pour un instant", featuring two tracks (one on each side), the title song and "100,000 Raisons", only released on the CD version of the album almost 20 years later. After many little shows and a small tour played all over Quebec, they were up for the second album. The album, sometimes known as Les Cinq Saisons, was actually named Si on avait besoin d'une cinquième saison. There were five songs on the album, one representing each season and the last song being the "new" season. For this album the band had three new members: Pierre Daigneault, playing the flutes, sax, and clarinets, Serge Locat, handling the piano and synths, and Judy Richards, who sings the melody of the fifth season in "Histoires sans Paroles". The third album, L'Heptade, is about the seven states of consciousness of a person (during a day, or during a life). The first and the last song are named "Comme un fou" and "Comme un sage", indicating a progression towards wisdom. A double-LP live album was recorded during the band's final tour, and later released as En tournée in 1980.